Quiz: What’s Your Lucky Charm? Discover your lucky charm with our personality quiz. Plus: Outfit ideas inspired by your lucky charm. Everyone knows that you’re supposed to wear green for St. Patrick’s Day (or risk getting pinched), but what about the other 364 days of the year? There are so many legends and folktales out there surrounding different objects and symbols that represent luck that it’s almost not fair to leave them out. If you’re hoping to turn the odds in your favor or if you’d like some inspiration on how to incorporate certain signature items into your wardrobe, then check out the quiz below to find the lucky charm that’s perfect for you. The results to the quiz are down below (if you haven’t taken it yet, don’t look!). I’ve created an outfit that nonchalantly incorporates each lucky charm. Enjoy! This sporty look is such an easy and cute way to carry your lucky number with you. Paired with Vans and a beanie, you’ll look cool and collected. Other ways to sport your favorite lucky number? If the number is relatively low, you can accessorize with that many bangles, or you could purchase earrings with your signature number on them. A subtle yet lovely charm necklace with a horseshoe is a sophisticated and understated way to spruce up any outfit. Because you like to stay chic and fashion-forward, you know that a timeless shift dress will never go out of style. 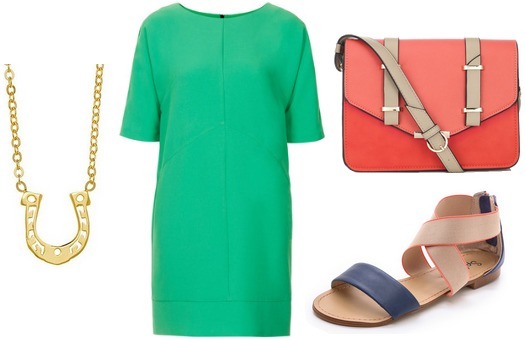 Trendy wide strap sandals are ideal for spring, while the salmon-colored bag adds a contrasting pop of color to the look. Charm bracelets are a great way to wear reminders of things that are meaningful to you. This ensemble is more bohemian-inspired, with the chevron kimono stealing the show. Since the kimono is so bold, pair it with some low-key shorts and a gray tank top. 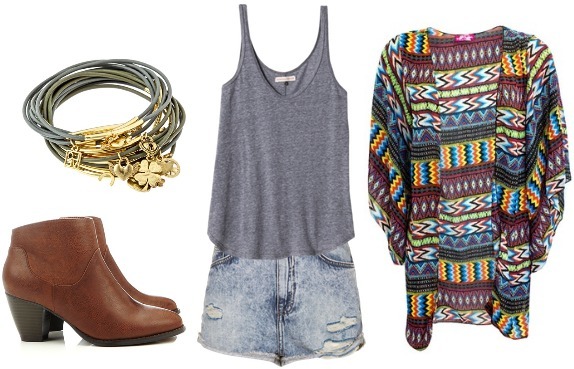 The care-free look is finished with some festival-styled booties. 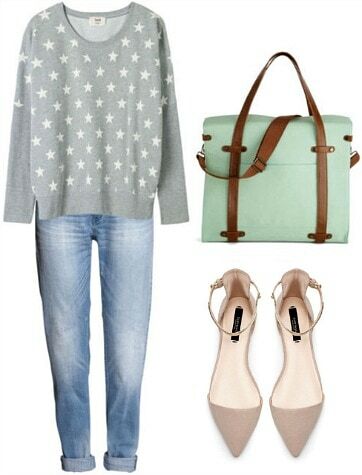 The star-print sweater is the main focus of this outfit, and the subtle contrast between gray and white creates a soft and cozy vibe. I chose boyfriend jeans for the ultimate relaxed fit, but when coupled with pointed-toe flats, the resulting look is chic and sophisticated. This outfit would be great for spending a quiet day with family or at home. 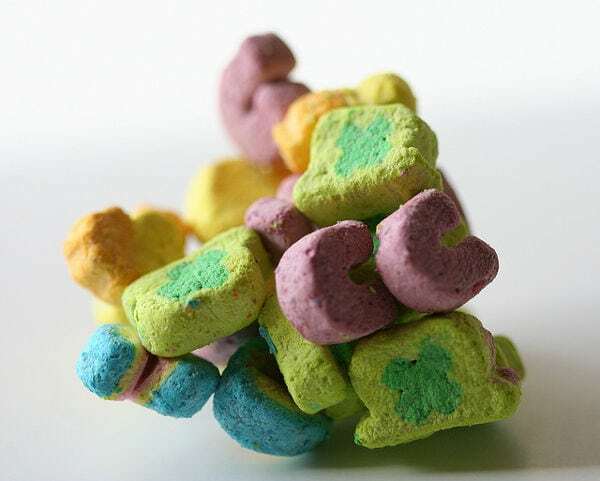 Do you have any other lucky charms? How do you sneak them into your day-to-day wardrobe? Would you wear any of these outfits? Which is your favorite? Let us know what you think in the comments below!